Moving a loved one into a long term care community, nursing home or assisted living/personal care home can raise many questions and concerns. Having a trusted source to address everything from paperwork, to move-in day to daily communications is essential. Masonic Villages’ team of admissions staff and social workers are here to assist every step of the way. Understanding the levels of care is important. Personal care, sometimes called assisted living, is ideal for those who need some daily assistance with tasks like bathing and dressing. Services include around-the-clock care, medication administration, cooked-to-order meals, housekeeping, transportation, social services and access to recreational opportunities. Nursing care, also referred to as long term care or nursing home care, includes all the services offered through personal care, but with more extensive assistance, including memory support care. How Soon Can My Loved One Move In? It’s best to contact us immediately, and staff can provide an estimated timeframe. This depends on the availability of a suite in the personal care, nursing and memory support care areas, as well as how long it takes to gather the necessary paperwork for admission. 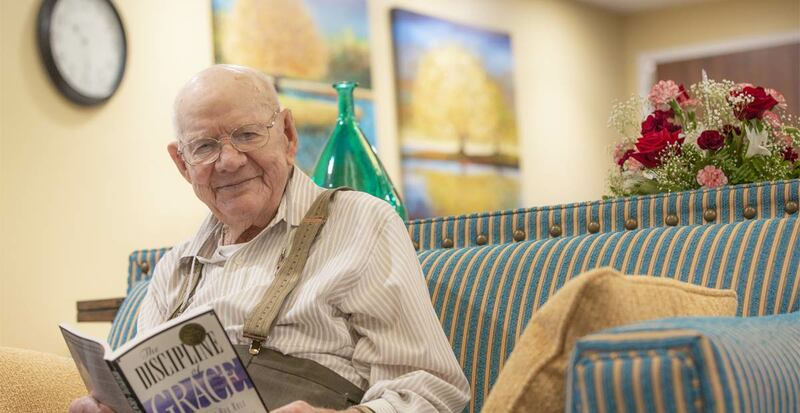 Availability fluctuates by location (Masonic Villages provides personal care and nursing care services in Elizabethtown, Lafayette Hill, Sewickley and Warminster). Even if long-term care isn’t immediately needed, you can fill out an application at any time and keep it on file to save time in the future. It’s better to have a plan in place in the event a critical situation arises. Two common misconceptions about moving to Masonic Villages are that you need a Masonic affiliation to qualify, and you must turn over all your assets. We are open to those with and without Masonic affiliations, and we do not take control of residents’ assets. The move-in process starts with completing an application, providing medical information and supplying two years of financial documentation. Once staff receive and review this, they may send questions back to the applicant or Power of Attorney. Staff will then submit it for processing. “Some applications are processed within a week; others can take up to a month, depending on how quickly information is provided,” Jeanie Hummer, admissions supervisor at the Masonic Village at Elizabethtown, said. Other frequently asked questions typically deal with finances: the costs of long term care, what insurance does and doesn’t cover, what happens if a person’s assets deplete and how to qualify for Medicaid. Each person’s circumstances are different, but staff can help navigate these complexities. Staff from nursing, therapeutic recreation, housekeeping, maintenance, food services and other departments help new residents feel at home. Each resident meets with a social worker who will be their campus liaison when they first arrive. Staff encourage residents to bring photos, books, comforters, pillows and small personal items to help them feel more comfortable in their new home. Programming and activities, which may include music therapy, worship services, creative arts and ceramics, games and trivia, picnics, holiday events, exercise programs, trips to local restaurants and volunteer opportunities, provide residents with socialization, engagement and purpose. How Can I Stay Involved in My Loved One’s Care? Staff invite residents, family members/POAs to care conferences, which are held on a regular basis or when significant changes occur in a resident’s condition. Staff work with family members in an effort to accommodate their preferred method and frequency of communication. Some families want frequent updates, while others prefer to only receive calls about significant events. It’s important to have one primary contact who can share information with others. Masonic Village at Elizabethtown: 1-800-422-1207 or click here to request more information. Masonic Village at Lafayette Hill: 610-825-6100 or click here to request more information. Masonic Village at Sewickley: 412-741-1400, ext. 3600, or click here to request more information. Masonic Village at Warminster: 215-672-2500, ext. 132, or click here for more information.